We offer personal and partner training in Surrey and surrounding areas mobile to your home, work,gym or office. Personal training sessions are uniquely tailored to your needs. We incorporate exercises with proven results. Our training systems re-shape your body, tone and tighten your muscles and give you a fit, firm and your ideal body.FULLY MOBILE TRAINING SERVICE TO YOU that will make it easy on you by training in the most comfortable environment for yourself! You may also come to my in-home personal training studio as well. Intensity and timing are key factors when achieving results. It is a large part of your personal training sessions. We will create a personal training program for you, that works. We motivate you throughout each workout, to ensure you reach your full potential.No matter what your goal, fat loss,muscle toning, improved overall fitness, or simply just to stay in shape, we can help you achieve the results you are desiring. You won’t believe how much better your will feel and look after your personal training sessions. Clients are encouraged to make use of their own personal fitness equipment. However, if required, equipment is provided during your sessions. Nutrition will be discussed in detail as this is an important part of your success. We are well equipped with a wide variety of equipment, including stability balls, medicine balls, BOSU balls, resistance tubing, free weights, skipping ropes, etc. Today’s world is fast paced and literally never stops, especially for a lot of women, with the average work week increasing from 40 to 50 hours (or more) plus all the other responsibilities of home and family. As a result, getting to the gym or simply making time for fitness exercise is becoming increasingly difficult. We know your busy and time is of the essence. We also know that it takes accountability, motivation and knowledge to stay in shape. We can tailor our personal training program to meet your specific needs. Body Circuit for Her knows how to make an essential difference. We are a professional company devoted to helping women reach, achieve and exceed their health and fitness goals. If you are already working out on your own, great! our personal training programs can take you to the next level. If your brand new to fitness, no problem we have got the know-how to help you develop a fitness program that fits your needs. 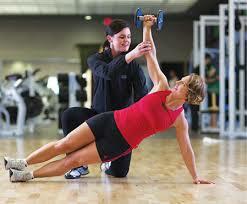 Body Circuit for Her personal trainers have the expertise to take you where you want to be. In other words, your health, fitness and well being is our priority. The exercises, methods, and equipment will depend on your specific requirements. Training with your friend,child or partner. Workouts are based on your fitness goals and current fitness levels. This package is popular for those who like to exercise with a a partner. A really fun way to train. This can also be great for Brides and Grooms. What better way to get healthy then with someone you are starting new journey with! Book a discovery call with Sonia to learn more!